Along with the wonderful color and presentation this ingredient adds to delicacies, a delightful aroma and flavor is infused into each bite placed in the mouth. Known by different names in different parts of the world, this pungent tasting herb is called coriander, or dhania in the Indian Subcontinent and cilantro in the Americas and parts of Europe. However, whatever name this herb is known as, it has successfully established itself as a condiment, a garnishing or a decorative element in most food preparations. Just like the aromatic and flavorful leaves, its dry fruits, known as coriander or coriander seeds serve as an important ingredient to many dishes. Scientifically known as Coriandrum sativum, the word coriander has been derived from the Greek word ‘koris’ which means ‘bug’, due to the buggy smell that the seeds have when unripe. Besides the numerous culinary uses, coriander seeds contain important vitamins and minerals, essential for a healthy living. Listed here are the various beneficial properties that coriander seeds have. Coriander is believed to be one of the oldest spices being used by mankind, with its history tracing back to 5000 BC. Although coriander is native to the Mediterranean and Middle Eastern regions, it is known to be used in the kitchens of Asian countries for centuries. Records have been found with regard to the use of coriander in ancient Egypt and the same has itself mentioned in the Old Testament. The Greek and Roman cultures used it as a spice initially and later extended its use for preserving meats and flavoring breads. The Romans spread the coriander all over Europe, while the Spanish conquistadors introduced it to Mexico and Peru, thereby becoming the first of the spices to be brought to America. Till date, coriander is valued as a flavoring agent in the culinary traditions of Latin American, Indian and Chinese cuisines. But the Russian Federation, India, Morocco and Holland are the major commercial cultivators of coriander seeds. Coriander seeds contain cineole and linoleic acid, which possess anti-rheumatic and anti-arthritic properties required for reducing the swelling caused due to these two diseases. To add on, swelling caused due to malfunctioning of kidney or anemia is also alleviated to some extent by coriander seeds. Coriander seeds help in reducing cholesterol levels in the blood due to the presence of linoleic acid, oleic acid, palmitic acid, stearic acid and ascorbic acid. 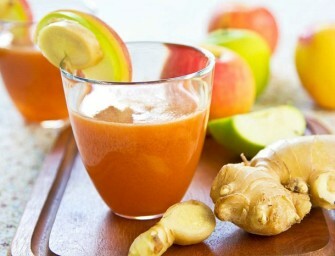 Besides, these acids combine to decrease the deposition of cholesterol along the inner walls of arteries and veins. The essential oils in coriander seeds contain certain components that assist in digestion, promote proper functioning of liver and bonding of bowels and help in curing diarrhea. Diarrhea caused by microbial and fungal actions is also treated with the presence of anti-bacterial effects in coriander seeds. Citronelol is a component present in coriander seed essential oil which acts as an excellent antiseptic. It also has some other components which avoid worsening the wounds and mouth ulcers due to their antimicrobial and healing effects. 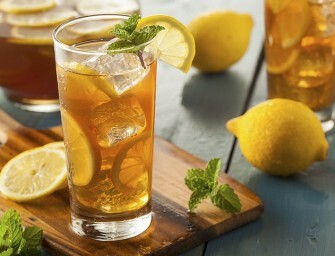 As such, they speed up the healing process of ulcers and produce a fresher breath. With a rich aroma and essential oils, coriander seeds make a great appetizer, thereby providing exceptional benefits to the digestive system. By secreting enzymes and digestive juices in the stomach, coriander seeds stimulate digestion and peristaltic motion. The essential oils in coriander are enriched with anti-microbial, antioxidant, anti-infectious and detoxifying components and acids. These properties help in strengthening the immune system and prevent the risk of contracting small pox. Besides, those patients with small pox can experience a soothing effect with these spices. By acting as a stimulant, coriander seeds regulate the secretion of the hormones and from the endocrine glands. As a result, they help in normalizing menstrual cycles and reducing the pain during menstruation. With lots of antioxidants, vitamin A, vitamin C and minerals like phosphorus in abundance, coriander seeds are known to slow down the aging of eyes, prevent macular degeneration and soothe eyes against stress. 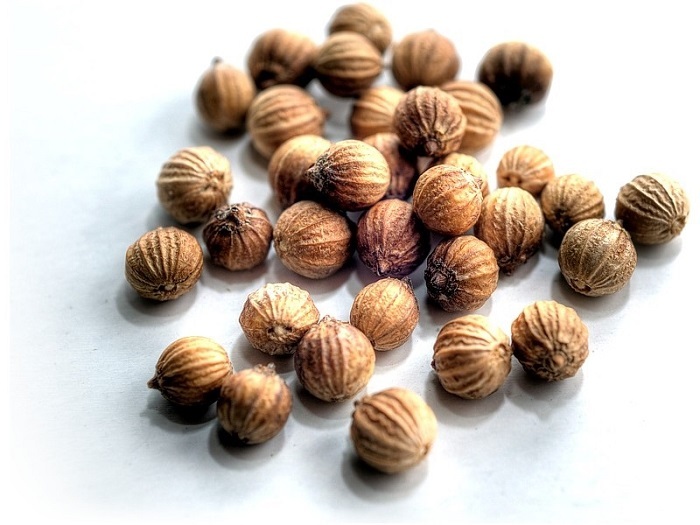 Apart from the above stated diseases, coriander seeds have found a significant place in treating various other ailments and disorders, such as colitis, nausea, hepatitis, liver disorders, acid peptic disease, dysentery, body fever, typhoid, respiratory tract infections and cough. Coriander seeds have about 298 calories per 100 gm of weight. 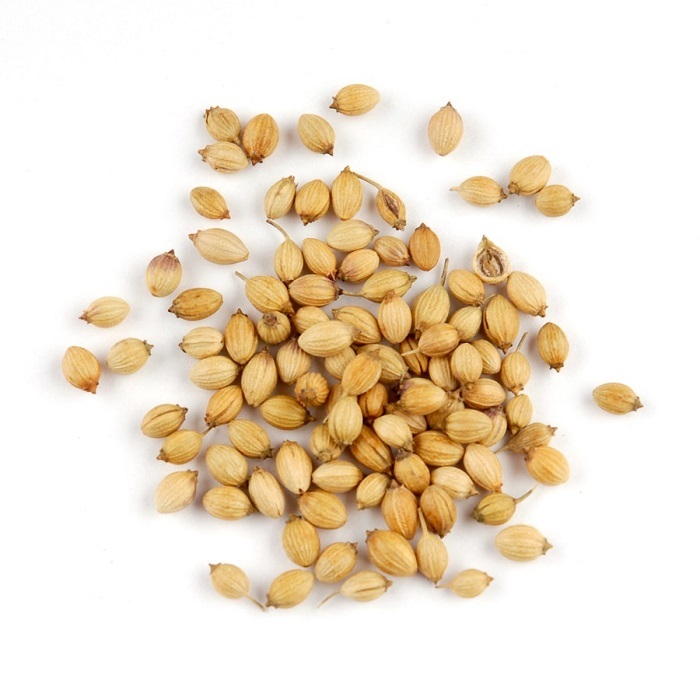 Coriander seeds are available in both whole and powdered form across the year. But its best to buy whole coriander seeds since the powdered form tends to lose its aroma and flavor too quickly. When you pick up fresh coriander seeds, they should smell pleasant and radiate a slight peppery flavor when squeezed between your index finger and thumb. You can easily grind brittle whole coriander seeds at home using a mortar and pestle, just before adding to recipes to get the freshest flavor. Coriander should always be stored in an opaque, airtight container, away from light, heat, and moisture, whether whole or ground. Ground coriander starts deteriorating soon and hence, should not be stored for more than four to six months. Replace ground coriander with a fresh stock once the color and aroma start fading. Whole coriander seeds can easily be stored for up to one year when kept in a sealed container in a cool, dry, dark place. Nutritional Facts - Is Cod a Healthy Fish to Eat? Why Cranberries Are So Good for Your Health ?